Where do your students need your help? Do what you do best — teach. 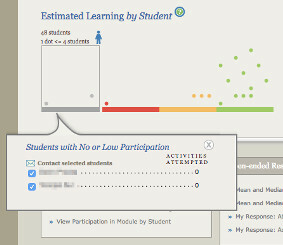 Data from student activities and assessments is displayed in the Learning Dashboard. 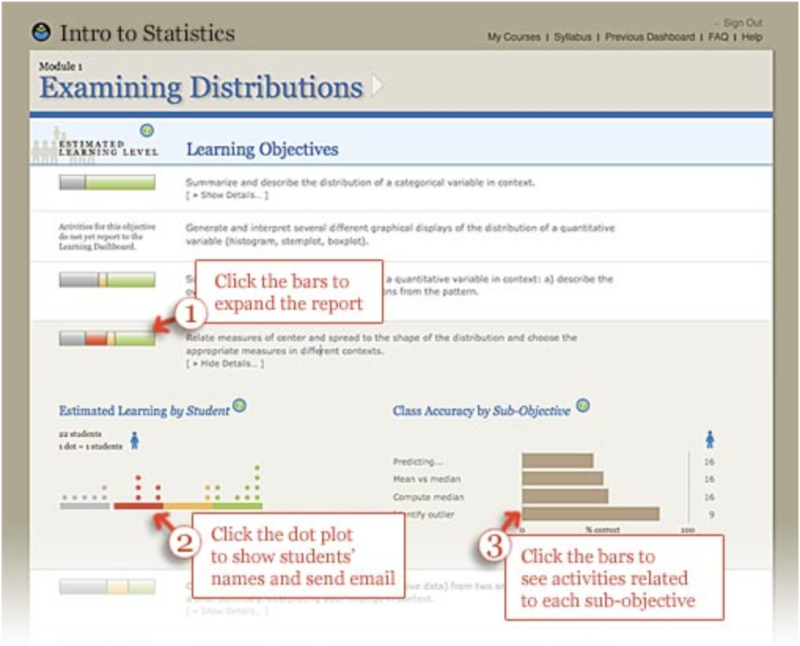 It includes information about student participation and performance at both the class and individual-student level. Instructors can quickly identify the concepts giving students the most trouble — in real time — and remediate before it’s time to take a test or hand in an an assignment. How well are students learning? Who needs help? Who needs motivation? Find out quickly which students aren’t participating, or which ones are struggling. Email them right from the dashboard. 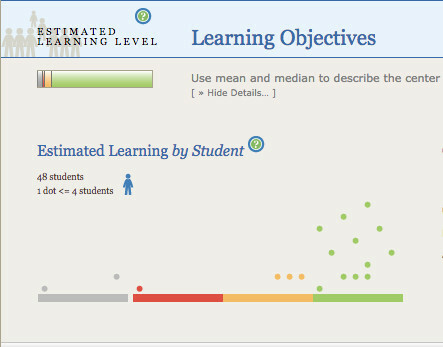 Monitor performance on the component skills that make up each Learning Objective. Which skills pose the greatest hurdles? 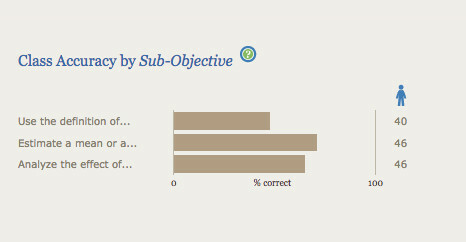 Quickly see how many students have encountered each sub-objective (skills) and how well they’re answering the questions.